We may see Metroid Prime 4 in 10 days! Edit: What I said in the other TGA thread. Prime 4 and Prime Trilogy on Switch. The Game Awards definitely sounds like the right place for a trailer of some sort. Also, I wouldn’t be surprised if we get the first hint of Smash‘s DLC in the form of Sylux. I have bets on Prime 4 and Psychonauts 2 with people, so Prime 4 better happen! I'm ready to be disapointed. I guess it's Metroid Trilogy port to the Switch. Or quite possibly a sequel to the hit 3DS exclusive Metroid Prime Federation Force? Could just be a Trilogy port. Are those people actually someone with knowledge or just "literally who"? Been expecting it there. That and Bayo 3 seem like a good match for the TGA audience. Now that this is a thread I expect meltdowns when MP4 doesn't appear in The Game Awards. Better yet, a Switch port. One of them is literally a mod here at Resetera. I know I'm keeping some money in the bank for a shadow drop (or two) next week. I mean, technically speaking, that seems to partially be what Prime 4 is narratively, if the secret ending of FF was any indication. I think both are likely. Early trailer with mostly cutscenes, launch window revealed and then announce Metroid Trilogy Port (hopefully a further remaster than the Wii U release). Jonnehis on GameXPlain and he was teasing all the Final Fantasy games that are announced for Switch before it was confirmed, and he knows stuff. Spawnwave also knows people in the industry and Direct-Feed Games has teased stuff that was correct before, I forget what though. Hopefully it's a Trilogy Switch announcement (or better yet, both). I need that more than new Prime 4 stuff, a project I already know exists. Good news, because Prime 4 fulfills that criteria. I thought the insiders gave a thumbs down recently for this being at the game awards, so I assumed the Nintendo presence will be to announce the first Smash DLC character. I might be in the minority here but I hope we get a comoetitive multiplayer arena mode. As long as it doesn't detract the quality of the singleplayer. Maybe give it to a different team to work on the multiplayer. If they're showing Metroid Prime Teilogy than you can bet that MP4 will be shown in some shape or form maybe with a 2019 release year announcement. Personay Im hoping on a surprise Eternall Darkness announcement. I have been called out. Deservedly so. So it's happening but to what extent? Give me all Metroid on the Switch! 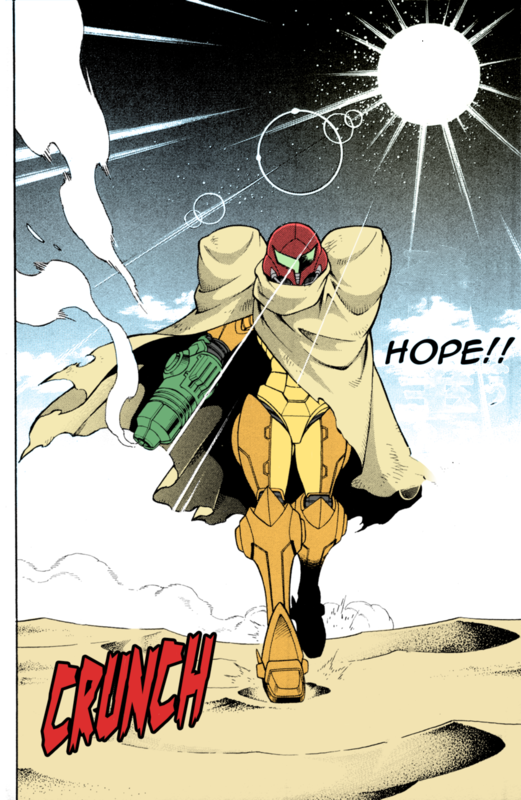 Zero Mission, Samus Returns, Prime, Prime Hunters (maybe remake this one? ), Prime 2, Prime 3, Super Metroid, Other M, Fusion! I want to play all the Metroid games in one place in an epic marathon. Give me Prime Trilogy + Hunters with online and they can take as long as they need for MP4. Gimme that sweet MP4 gameplay reveal and a trilogy for Switch after that. I wouldn’t play it but if it doesn’t detract from the SP quality like you said I hope they go for it. Jon is Jonneh and I'm Direct-Feed Games. I'm sorry, I have to. It's been too long and this is like finding an oasis in the desert.